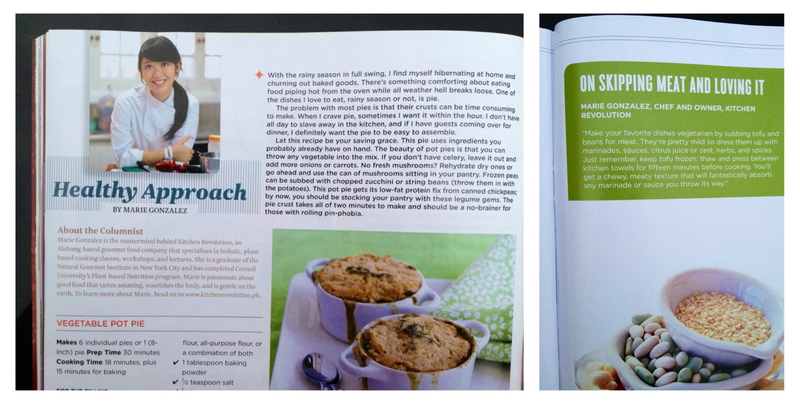 Check out the July issue of Yummy magazine for my tips on vegetarian protein (article by Ryan Fernandez) and my column for a recipe on a creamy vegetable pot pie – easy-peasy to make and absolutely perfect for the cool rainy season. Tried your vegetable pot pie recipe from Yummy mag and as promised – it was YUMMY! Thanks to your recipes, my husband thinks I’m a great cook! I look forward to more of your delicious yet easy vegan recipes!